Tactical weapons displays used by the U.S. military are more rugged, better at target acquisition and more accurate at longer ranges. 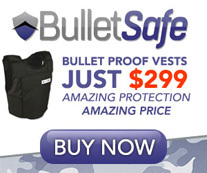 This makes them ideal for conflicts that come after Afghanistan and Iraq, since they can save lives through quicker elimination of enemy combatants at long ranges where operators are more difficult to detect, according to leading manufacturers who sell to the military. Technology that might have formerly been the domain of the Defense Advance Research Projects Agency (DARPA), cooked up by engineers at companies like Lockheed Martin through procurements like the Dynamic Image Gunshot Optic contract, and only entrusted to snipers and special forces operators is now making its way to the infantry. Red dot and holographic weapons sights (HWS) are two dueling technologies for tactical weapons displays, making the promise of enabling each Army and Marine Corps infantryman into a sharpshooter. Proponents of the equipment say that operators won't even have to carry around dozens of batteries. "We are noticing a trend toward miniaturization and increased lethality of weapons when we work with DoD," said Pat Mundy, senior marketing trade manager for Leupold & Stevens Inc. of Beaverton, Ore.
"Our engineering and product managers send prototypes to military end-users for testing and feedback. Weapons are being designed and built to provide longer ranges and greater accuracy, so that our warfighters can engage the enemy at longer range with greater safety to themselves." Miniaturization allows manufacturers to create smaller target dots in display windows. Developed by L-3 EOTech, holographic weapons sights are improving the accuracy of military operators who need to operate in harsh conditions by using a laser transmission of a hologram, according to Mark Miller, product manager with the Ann Arbor, Mich.-based subsidiary of L-3 Communications that designs and produces electro-optic products and systems. The design works by using a laser light to illuminate a holographic pattern in the shooter's heads up display window. When looking through the window, the shooter sees a virtual red image of a recticle pattern projected into the target plane. With products used by some elite military units, such as the Navy SEALS, Delta Force and U.S. Special Operations Command for close quarters fighting, EOTech introduced the first holographic sight in 1998. One drawback of holographic sights compared to red dot sights is that they tend to use more battery life, although one vendor claims they can work on up to 1,000 hours of AA battery life. Holographic patterns, according to EOTech, are designed to be instantly visible in any light and instinctive to center no matter the shooting angle, and to remain in view while the shooter sweeps the engagement zone. Reticles, meanwhile, are designed by EOTech as large, see-through patterns to achieve lightning quick reticle to target acquisition without covering or obscuring the point of aim. EOTech officials claim that their HWS eliminates blind spots, constricted vision and tunnel vision associated with tube sights through its heads up display. User controls have no protruding knobs, battery compartments or mounting rings blocking vision at the target area. Shooters can achieve instant threat identification through a greater use of their peripheral vision and achieve greater control over the engagement zone, according to company officials. With tactical weapons systems that use binary optics technology, EOTech produces close contact and mid-range optics that are waterproof and can work accurately up to 200 yards and with magnification can work at the 300 to 400 yard range. "They've been shot at and still work" in field operations, said Miller of the heads up displays sold by EOTech. "We are building lighter, wider zoom range products designed to provide the warfighter with a more effective solution for more situations," Mundy said. "Now the individual can engage the enemy at greater range with greater precision—our optics complement today's evolving weapons systems," he said. Trijicon Inc. of Wixom, Mich., sells the Reflex, a rugged, battery-free illuminated sight for rifles, carbines and shotguns to be used in close quarter battles that allows shooters to aim with both eyes wide open, which can help shooters with situational awareness. Founded in 1981 by the late Glyn Bindon, Trijicon is an any-light aiming company, so it sells equipment for daytime and nocturnal operations used by the Army, Marine Corps, and U.S. Special Operations Command. The Reflex debuted in January, meanwhile, Trijicon's continuously computed aiming solution (CCAS) computes a corrected aiming point based on current environmental conditions using known ballistic equations, instead of the common G1 table averages used by the majority of ballistics modeling programs, according to Jeff Eby, advanced technology program manager in the company's military and law enforcement division. With a ranging capability of 2,000 meters, the CCAS works with infantry weapons, sniper rifles and vehicle-mounted machine guns, among other weapons. It gathers environmental and weather data, including atmospheric pressure and temperature. A half-second after activation, the onboard computer can generate a firing solution using the most advanced ballistic programs available. It can also target moving targets, and displays an aiming point on the green reticle. It seems made to help turn an average shooter into a marksman. Tactical weapons sights can generally mount on one-inch Picatinny and Weaver rails. Since 2010, Texas Weapons Systems of Austin, Texas, has been manufacturing optics and accessories for the AK-47 with occasional small volume sales to U.S. special forces. President Nelson Fesas is an engineer and former race car driver and designer who decided to pursue his interest in the mechanics of guns full time with the founding of the company in 2008. He intends to launch optics and accessories that could see larger U.S. military sales for tactical weapons systems beginning in summer 2014. In the meantime, Fesas is working on selling the AK-47 clean modular system with accessory mounts to U.S.-friendly nations, such as in Eastern Europe. This will allow their military forces to upgrade their Kalashnikov platforms without investing in new rifles, ultimately saving funds. "They can mount whatever optics they need," Fesas said. Founded in Sweden in 1974, Aimpoint, now with its U.S. headquarters in Chantilly, Va., created the red dot sight to better help shooters hit moving targets quickly in all weather and lighting conditions consistently and accurately. The "low light/no light" company has sought to produce the more accurate small arms aiming system in the world, and it claims more than 1 million red dot sights in use worldwide. There's been a downturn in DoD optics purchases following the ending of the Iraq War and the drawdown in Afghanistan, according to Tony Williams, Aimpoint's government sales manager. However, there's been "a very large increase in sales," to U.S. special operations forces by his company, which portends well for fourth quarter federal fiscal sales. Durability, reliability and battery life are the three keys to the company's appeal, according to Williams. "Some of our optics can last 30,000 hours with constant use on AA batteries" said Williams who served in the Marines for 7 years. He calls battery life "the key to our business." Aimpoint can also generate 80,000 hours of battery life—the equivalent of eight years—on the Army M68 Close Combat Optics system. 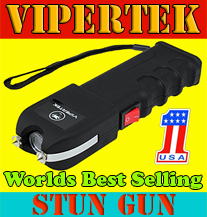 He claims that one can throw the optics on the ground or against a wall and that they will still work adequately. As opposed to conventional forces, special operations forces tend to engage in shots that are "five years and in," according to Williams, who pointed to the May 2011 Navy SEAL raid that killed Osama bin Laden in Abbotabad, Pakistan, as a prime example. "More than accuracy, it takes speed" to stay alive and successfully carry out a mission, he said. Aimpoint sights and mounts enable special forces operators to keep both eyes open while targeting and shooting, since they "just point the red dot on target," he said. 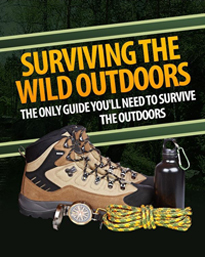 "The faster you can acquire the target, the longer you stay alive," he said. The Aimpoint red dot aiming system is a closed emitter system, so Williams noted that "there's nothing on the outside that can be broken." 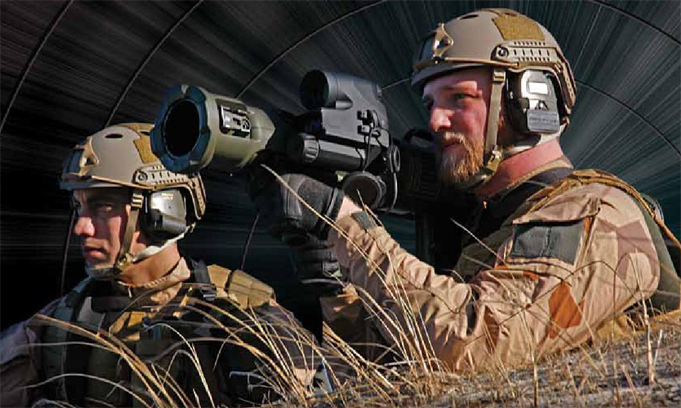 In April, in an apparent validation of the company's strong field performance, Aimpoint won a $8.7 million, five-year indefinite delivery, indefinite quantity contract with the Naval Surface Warfare Center-Crane Division to supply night-vision capable sights and mounts for the Enhanced Combat Optical Sight-Optimized (ECOS-O) program so that Marine Corps combat infantrymen can hit targets more than a half-mile away. ECOS-O Program combines Aimpoint's 3.7-ounce Micro T-1 sight with the 12-inch-long Leupold Mark 6 3-18x44 millimeter riflescope, which weights 23.6 ounces. The Aimpoint T-1 sighting device will be attached to the top of the Leupold Mark 6 rifle scope for attachment to a series of carbines, grenade launchers, combat assault rifles, and combat infantry rifles. The ECOS-O program will provide optical targeting in close range up to 300 meters, with optical enhanced targeting from 300 to 1,000 meters and the ability to operate in extreme altitude, cold, fog, heat, humidity, ice, rough handling, salt fog, shock, solar radiation and vibration. Leupoid & Stevens won a $42.8 million contract from the Naval Survey Warfare Command. According to Aimpoint officials, this combination of optics allows military operators to utilize the non-magnified red dot sights both as a primary optic as well as a fast way to acquire targets for long-range identification and engagement using the magnified Leupoid scope. The Aimpoint Micro T-1 has four night vision compatible settings and eight daylight settings, and the ECOS-O will come in illuminated and non-illuminated reticle configurations. Over the course of the five-year contract, the Navy is working with Aimpoint and Leupold & Stevens to provide upgrade ECOS-0 versions to accommodate future reticle designs for changing operational needs past the wars in Iraq and Afghanistan, with the work completed by Leupold & Stevens in Beaverton, Ore., and Aimpoint in Jagershillgatan, Sweden, through March 2018. The product's ACET technology with light-emitting diode allows 50,000 hours—the equivalent of five years—of constant operation on one battery and can create a 650-nanometer red light. Zoom magnification in the rifle scope will help combat infantrymen detect, identify, track and engage targets at distances up to a half-mile or greater, and the red-dot technology will help infantrymen aim their weapons accurately at targets with both eyes wide open to help them maintain situational awareness. Williams concedes that keeping both eyes open goes against what many shooters are initially taught. In 2007, Aimpoint introduced the Micro T-1 sight, a combat reflex sight which the company touts as compact, durability and extremely long battery life. Since 2009, as a result of end-user demand, Aimpoint had been working on a smaller sized red dot reticule, which the company made available in January 2013 through the Micro T-1 and H-1. The improved sighting technology seems to have the promise of making Army and Marine Corps infantrymen more lethal, with a corresponding potential decrease in casualties. ABOVE LEFT : Aimpoint Government Sales Manager Tony Williams calls battery life "the key to our business. Some of our optics can last 30,000 hours with constant use on AA batteries." ABOVE RIGHT : Leupold DeltaPoint Reflex Sights feature aspheric lens and motion sensor technology, and come in a magnesium housing. Leupold optics will soon have a greater presence on U.S. military firearms. 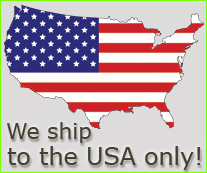 The company was recently awarded a contract from the US. Navy for the Mark 6 3-18x44 riflescope and another from the U.S. Marine Corps for the Mark 8 1.1-8x24 CQBSS M5B1 Front Focal scope. The Navy's Surface Warfare Center, Crane Division, awarded Leupold and Aimpoint five-year contracts tor Enhanced Combat Optical Sight-Optimized (ECOS-O) systems. Leupolds $42.8 million contract calls for the longtime supplier of military optics to provide Mark 6 riflescopes as the base for the next generation of integrated optical aiming systems for modern small arms. Leupold will also provide Mark 6 Integrated Mounting Systems. The project integrates the riflescope with Aimpoint s Micro T-1 sight. Aimpoint received an S8.7 million contract for T-1 sights and mounting brackets. Once integrated, the system will be delivered to combat troops in the Army, Navy, Air Force, and Marine Corps. 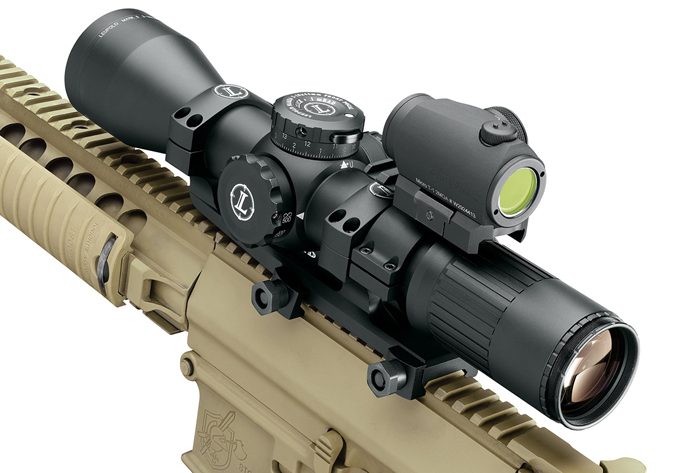 Leupold scopes will be paired with Aimpoint sights in a five-year military contract. The Marine Corps selected the Leupold Mark 8 for combat use by front-line Marines in the USMC Special Operations Command (MARSOC). The Mark 8 CQBSS was put to the test in situations ranging from advanced sniper courses to combat operations in Afghanistan. The adaptability and power range of the CQBSS quickly made it a favorite with the Marines at MARSOC. "I carry it on foot patrol, where I appreciate how quick and easy it is to change the scope power. Its versatility is unmatched," says an undisclosed Marine sniper who carries a Ml 10SASS K.1 carbine with a Mark 8. "This optic allows [users] to dial down their power and use the illuminated 5 MOA aiming circle as they would a reflex optic when shooting in close quarters or conducting aerial gunnery, and use the same optic to win precision engagements out to the maximum effective range of a 7.62 platform," says Joseph Sroka, Force Modernization Officer, Marine Special Operations Regiment, MARSOC.